From our terraces you have a nice panorama to the ski slope, stream, fountain and mineral water spring. 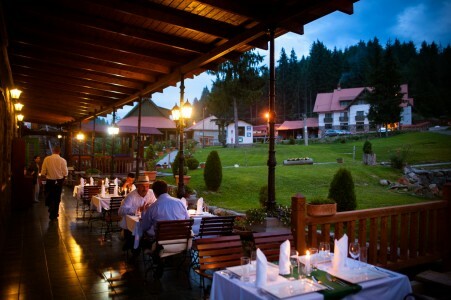 Delicious food and beverage is accompanied by the fabulous landscape, surrounded by pine trees and fresh air. The grill terrace is under construction.